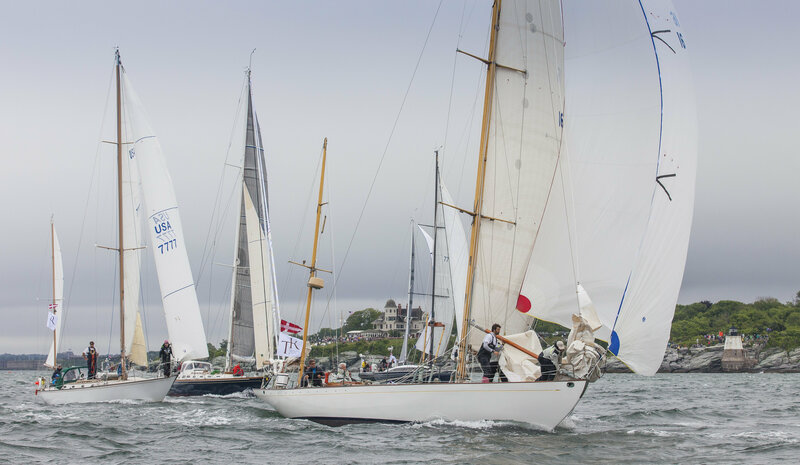 NEWPORT, R.I. — With the deadline for early entries—and a savings of $1,000 off the entry fee—approaching, the confirmed fleet for the Transatlantic Race 2019 includes a diverse group of 15 yachts from 42 to 78 feet in length. A handful of the entries for 2019 completed the 2015 race, including Constantin Claviez' Swan 441 Charisma (above), which hails from Hamburg, Germany. "We're very encouraged by the early interest in the Transatlantic Race 2019," says event chair Patricia Young (Jamestown, R.I.), who competed in the 2011 edition of the race. "This is no small undertaking; successfully completing a transatlantic race is a pretty large feather in the cap of any sailor. The previous edition of the race, in 2015, produced some thrilling moments, including a 24-hour monohull record, and left every competitor with memories that will last a lifetime. We're expecting more of the same next summer." The Transatlantic Race 2019 starts from Newport, R.I., on June 25, 2019, and finishes off Cowes, England. The course length of 2,960 nautical miles makes this event one of the longest yacht races open to both professional and amateur sailors. It will be the 31st transatlantic race organized, at least in part, by the New York Yacht Club. The Transatlantic Race 2019 is organized by the Royal Yacht Squadron, the New York Yacht Club, the Royal Ocean Racing Club and the Storm Trysail Club. The deadline for the early entry discount is Saturday, September 1. "We've had significant interest from sailors who would like to compete doublehanded," says Young. "We're more than pleased to acknowledge their persistence, endurance and teamwork with their own division and trophies." An additional incentive for skippers considering the Transatlantic Race 2019 is that all entrants will also be guaranteed a spot in the 2019 Rolex Fastnet Race, which starts from Cowes on Sunday, August 18, 2019. This race has become one of the most popular distance events in the world, with the entry list filling up within minutes of entries opening.